This final installment of the long-running series of film adaptations is better than its predecessor, but that is faint praise indeed. It's dark, dreary, and depressing — the action scenes aren't even visually exciting — and only suitable for those who have seen all the other films and want some measure of closure. 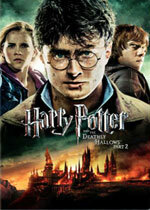 Read the full text of our review at Mr. E. Reviews Harry Potter and the Deathly Hallows: Part 2. 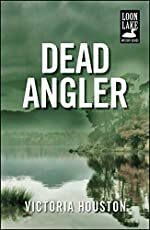 MystereBooks is pleased to feature Dead Angler by Victoria Houston as today's third free mystery ebook. We don't know how long it will be offered at this special price (typically for a limited time only or until a certain number of downloads have been completed), so we urge you to download it while it is still available for free. This is the first title in a series of 11 mysteries (to date) that feature retired dentist and fly fisherman Paul "Doc" Osborne. Whether the death is accidental — or accidentally on purpose — Lewellyn is determined to rell in the truth. She enlists Pail and his walleye-expert buddy, Ray, to help her get to the bottom of the murky mystery. Whoever thought small-town retirement could be this dangerous? B&N Free Nook Book Download Link. MystereBooks is pleased to feature Dolled Up for Murder by Deb Baker as today's second free mystery ebook. We don't know how long it will be offered at this special price (typically for a limited time only or until a certain number of downloads have been completed), so we urge you to download it while it is still available for free. The "Dolls to Die For" mysteries, of which this title is the first of four (to date), feature doll restorer Gretchen Birch. Deb Baker is also the author of the "Yooper" mysteries with Gertie Johnson. 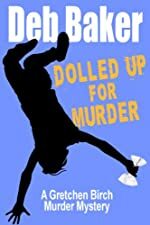 About Dolled Up for Murder (from the publisher): When Gretchen Birch reluctantly arrives in Phoenix, Arizona to search for her mother, a talented doll restorer, she thinks her Aunt Nina is performing her usual theatrics. But Nina, purse dog trainer and self-proclaimed psychic, fears her mother’s disappearance is connected with the death of Martha, an alcoholic has-been doll collector found at the base of a ridge on Camelback Mountain. Martha carried a small expensive French doll parasol in her pocket and a piece of paper implicating Gretchen’s mother clenched in her cold fist. Restringing an antique doll is child’s play compared to the skills Gretchen must hone to save her mother and herself. MystereBooks is pleased to feature the second and third mysteries in the Laura Cardinal series by by J. Carson Black as today's selection of free mystery ebooks. We don't know how long they will be offered at this special price (typically for a limited time only or until a certain number of downloads have been completed), so we urge you to download it while it is still available for free. 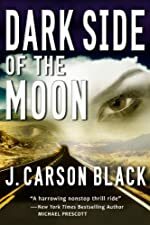 About Dark Side of the Moon (from the publisher): A detective with the Arizona Department of Public Safety, Laura Cardinal troubleshoots homicides in small towns. When a young couple on their honeymoon is found shot to death in a campground in Williams, Arizona, the consequences go far beyond a simple murder investigation. Teamed with a partner who is working her last nerve, and visited by the ghost of her mentor, deceased homicide cop Frank Entwistle, Laura is already walking an emotional tightrope. As she investigates this double homicide, Laura uncovers a chilling portrait of the dark side of love. And when she learns of one victim’s ties to an underground organization called the Earth Warriors, she is plunged into a high-stakes conspiracy played out against the unforgiving backdrop of the Mojave Desert — where there are no second chances. 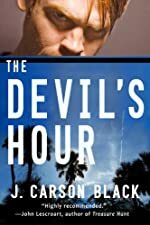 About The Devil's Hour (from the publisher): In 1997, the disappearance of three young girls rocked the city of Tucson, Arizona. Eleven years later, one of those girls, Micaela Brashear, comes home — alive. Detective Laura Cardinal worked homicide for Arizona DPS, but now she's been moved to the Open-Unsolved Unit. With a new job and a new partner who questions her every move, Laura pieces together Micaela's fragmented memories in the hope she will learn the whereabouts of the other two children. When a man walking his dog finds the bones of a child in a shallow grave on the mountain above town, it becomes clear to Laura that Micaela was the lucky one. But the killer isn't through yet, and after the fiery death of someone close to Laura, she realizes she faces an implacable enemy. 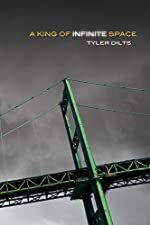 MystereBooks is pleased to feature A King of Infinite Space by Tyler Dilts as today's free mystery ebook. We don't know how long it will be offered at this special price (typically for a limited time only or until a certain number of downloads have been completed), so we urge you to download it while it is still available for free. This is the first in a series of mysteries to feature Long Beach homicide detective Danny Beckett. About A King of Infinite Space (from the publisher): Awake in the darkness, long after midnight, Beckett is trying to keep his past at bay. Haunted by all the things he's lost — his wife, his family, his hope — he begins to investigate the brutal murder of Elizabeth Williams, a popular High School English teacher. Soon Danny begins to understand that apprehending the murderer is not just a case to solved, but an act of personal redemption. First Clues: Mysteries for Kids is pleased to announce a selection of new mystery, suspense and thriller books (including series books) scheduled for publication during January 2012, listed in approximate order of reading level, from books for younger readers to books for teens. When my friend Petunia Pretty Paws gave me a crystal figurine of a boat as a gift, I had to accept it. After all, I have the biggest crush on Petunia! But oh, was that crystal boat ugly! So I wasn't too sad when my cousin Trap accidentally broke it, especially when I discovered a piece of paper inside with a mysterious message from someone in Venice, Italy, asking for help! A gentlemouse never ignores a request for assistance. So I, Geronimo Stilton, would do whatever it took to save the day! The Geronimo Stilton mysteries are recommended for readers aged 7 to 9. In this 31st book of the series, River Heights has gone gaga over Make-a-Pets! Nancy and her friends are excited to make their own cuddly stuffed animals—and play the online game Petopia that goes along with Make-a-Pet animals. But when Nancy’s friend, Violet, discovers that Hoppity, her Make-a-Pet, is missing, the Clue Crew is called on to help find the missing bunny. It seems there are a few possible suspects—including Violet’s best friend, Sonia, who claims Violet stole the idea about Hoppity from her. Could Violet’s best friend be the culprit? Or is the real thief even more of a surprise? Nancy Drew and the Clue Crew mysteries are recommended for readers aged 7 to 9. A jewelry store is robbed. A diamond necklace mysteriously shows up in Milo’s desk at school. The connection is crystal clear … isn’t it? Detective duo Milo and Jazz tackle their eighth case! The Milo & Jazz mystery series books are recommended for readers aged 7 to 9. When a movie starring tween heartthrob Seth Ryan starts filming in Park Slope, everyone gets movie mania-including Maggie Brooklyn Sinclair. Though her plans to become a movie extra don't quite work out, Maggie manages to capture Seth's attention and he seeks her out at the Pizza Den to talk. But just when Maggie's life is feeling like a romantic comedy, Seth disappears! Everyone thinks he's been kidnapped, but Maggie knows better in this second book of the series. Maggie Brooklyn mysteries are recommended for readers aged 10 to 12. Benjamin Pratt and the Keepers School books are recommended for readers aged 10 to 12. Ruthie and Jack thought that their adventures in the Thorne Rooms were over … until miniatures from the rooms start to disappear. Is it the work of the art thief who's on the loose in Chicago? Or has someone else discovered the secret of the Thorne Rooms' magic? Ruthie and Jack's quest to stop the thief takes them from modern day Chicago to 1937 Paris to antebellum South Carolina. But as more items disappear, including the key that allows them to shrink and access the past worlds, what was once just an adventure becomes a life and death race against the clock. Can Ruthie and Jack catch the thief and help the friends they meet on the way before the magic—and the rooms—are destroyed forever? The Sixty-Eight Rooms Adventures are recommended for readers aged 10 to 12. Can William stop the bicycle thief? Who is causing the sabotage at Hardleigh Hotel? Floods, false trails, enormous exploding marrows and suspects upended in pig swill — all in a day's work for William! Loaded with clue summaries, suspect lists and lots of action, readers can help William and Thomas in their efforts to become great detectives. This non-series book is recommended for readers aged 10 to 12. Frank and Joe Hardy have been posing as extras on the set of the upcoming teen movie, Deathstalker. The star, an ingenue named Anya, has already had her trailer burn down, and the Undercover Brothers had their work cut out for them keeping her safe at a comic book convention. But though the threats haven’t stopped, the filming has begun and enough is enough: It’s time to get to the bottom of who’s behind all the movie mayhem—and the Undercover Brothers will do just that in the conclusion to this thrilling trilogy! The Hardy Boys, Undercover Brothers books are recommended for readers aged 10 and older. First Clues: Mysteries for Kids is your source for information on over 200 mystery series for children and young adults, where each series is conveniently listed under four different age categories (New Sleuths, ages 4 to 6; Future Sleuths, ages 7 to 9; Sleuths in Training, ages 10 to 12; and Apprentice Sleuths, ages 13 and older). A list of the top 15 mystery hardcover bestsellers for the week ending December 30th, 2011 has been posted by the Hidden Staircase Mystery Books. It's been another fairly quiet holiday week, with no new additions to the bestselling mystery list … though we're featuring two titles that just missed our cutoff. Atop the list this week is a new number one, Death Comes to Pemberley, a stand-alone novel by P. D. James. 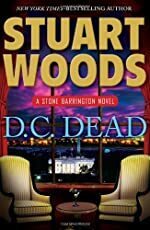 Debuting at number 17 is the 22nd Stone Barrington mystery, D.C. Dead by Stuart Woods. Seemingly out of the blue, Stone Barrington and NYPD detective, Dino Bacchetti, receive a most welcome invitation from the White House. It seems President Will Lee needs their investigative talents—and legendary discretion—for a particularly sensitive case. For his part, Stone is pleased to discover they’ll be working with his former partner in crime (and in bed), CIA agent Holly Barker. In the exclusive world of Washington politics, power and privilege often go hand in hand with private indulgences and clandestine affairs. As Stone’s investigation takes him from the multi-million-dollar Georgetown houses of the city’s elite to the luxurious apartments of Watergate to the private residence of the president himself, it becomes clear that even clubby, buttoned-up Washington high society has a scandalous side that its most favored members would kill to keep secret. 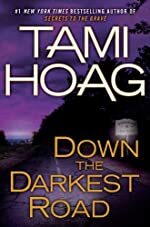 Just one place lower at 18 is Down the Darkest Road, the third thriller in the "Oak Knoll" series by Tami Hoag. Lauren knows exactly who took her oldest child, but there is not a shred of evidence against the man. Even as he stalks her family, Lauren is powerless to stop him. The Santa Barbara police are handcuffed by the very laws they are sworn to uphold. Looking for a fresh start in a town with no memories, Lauren and her younger daughter Leah move to idyllic Oak Knoll. But when Lauren’s suspect turns up in the same city, it feels to all the world that history is about to repeat itself. Leah Lawton will soon turn sixteen, and Oak Knoll has a cunning predator on the hunt. Sheriff’s detective Tony Mendez and his team begin to close in on the suspected killer, desperate to keep the young women of their picturesque town safe. But as the investigators sift through the murky circumstances of an increasingly disturbing case, a stunning question changes everything they thought they knew. For more mystery books news, please visit the Hidden Staircase Mystery Books, where we are committed to providing readers and collectors of mystery books with the best and most current information about their favorite authors, titles, and series.